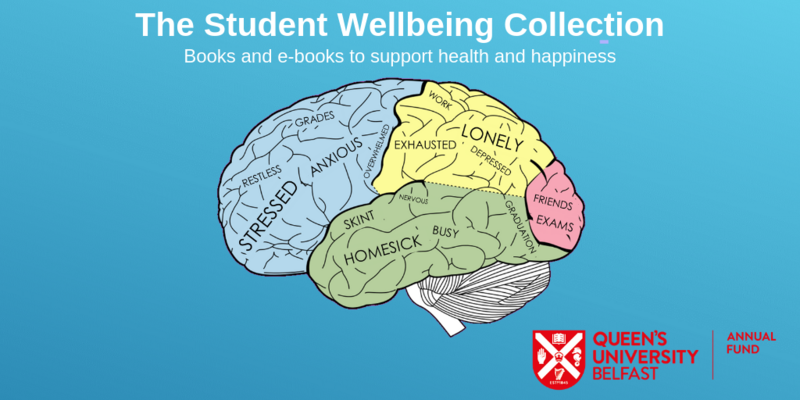 Thanks to generous funding from the Annual Fund, the library has established a Student Wellbeing Collection to help and support students. The collection contains around 140 print and 30 e-book titles covering a range of topics relating to your heath and wellbeing. You can explore the collection on the Student Wellbeing Collection subject guide. Library Services was assessed against the requirements of the Customer Service Excellence Standard on 26 February, and is delighted with another very successful outcome. Library Services has been undertaking the Customer Service Excellence accreditation since 2015, and we have been successful in achieving this standard every year since. Achieving the standard gives us formal recognition of our commitment to, and delivery of, customer service. Customer Service Excellence is an independent accreditation of the quality and standard of our customer care, and covers all aspects of our engagement with our customers, from front-line and face-to-face support, to liaison and communication, and how we engage with customers in developing our services and strategy. Library Services would like to take the opportunity to thank everyone involved in helping us achieve this standard, whether you are a customer, a partner in the service we provide, or a member of library staff. When we have asked you to complete surveys or provide us with feedback, you have done this, and this has meant that we can use your feedback and comments as a driver for continuous improvement. Achieving the Customer Service Excellence Standard each year helps to ensure that we not only maintain, but build on our successful performance, and keep our service to customers a priority. The University’s COAF Open Access Block Grant for 2018/19 is now exhausted. The Open Access Team anticipates that the University will receive its 2019/20 COAF allocation in October 2019. 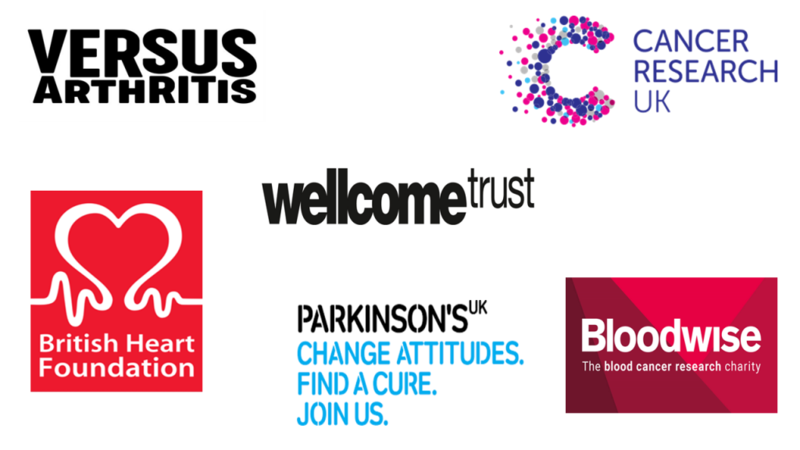 Until then, we would advise all COAF funded researchers to consult their research funders’ open access policy to ensure they are complying with their requirements. For further information on ‘gold’ open access funding please visit the Open Access webpages. The project is progressing well with significant work now concentrated in the area adjacent to the atrium on the ground floor. To isolate students from the noise, an acoustic hoarding now stretches from just below the IT Service Desk to near the entrance to Staircase 3. This will remain in place until mid-summer. While we will do our utmost to minimise any disruption during the pre-examination and examination periods (any particularly disruptive work will be completed out of hours or carried out as early in the morning as possible), please note that this is a major building project so there may be some background noise. If you have any particular feedback or questions, please contact: library@qub.ac.uk. The problems with full text linking in Article Search should be widely resolved. However, there may be occasional issues with individual results. We are continuing to work on these issues. Apologies again, for the inconvenience caused. The Library is running a trial of the Daily Mail Online archive until 30th April 2019. As an online archive of every headline, article, editorial, announcement, image and advertisement published in the Daily Mail (London), the Daily Mail Historical Archive, 1896-2004 is a useful resource students and researchers. Unfortunately, there are problems with full text linking in Article Search. We are working to resolve the issue as soon as possible. Please use other databases to conduct searches for full text articles. Hop into The McClay, Biomedical and Medical Libraries on Wednesday 3rd April and keep an eye out for Easter signs popping up at various times throughout the day. If you are lucky enough to find one, hand it in to the Borrower Services Desk in the Library you are in and staff there will retrieve the designated prize for your sign. 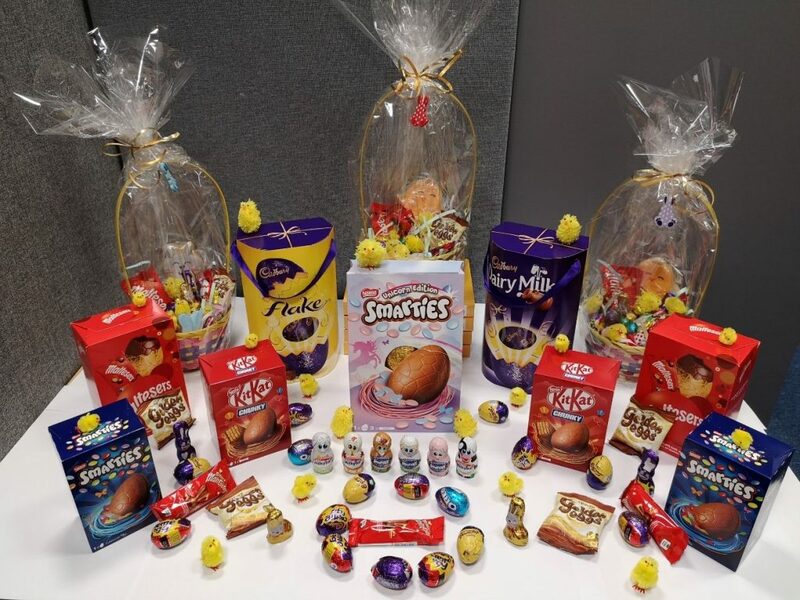 There are lots of lovely chocolately prizes for you to win, but keep a special look out for the Golden Egg signs – they will get you one of the big eggs featured in the photo above. Society Digimap provides access to census and socio-economic data for Great Britain. The demographic datasets are provided as layers to visualise along with high quality Ordnance Survey data, allowing users to gain insight to their areas of interest without the need to learn how to use a GIS. Global Digimap is a new collection which is still in development. It provides access to global datasets, allowing you to browse, annotate and print global maps and download global datasets for use in GIS software. The project is progressing well with most of the work currently concentrated in the courtyard area behind Borrower Services. However, work is also beginning in the area adjacent to the atrium on the ground floor. To isolate students from the noise, an acoustic hoarding now stretches from just below the IT Service Desk to near the entrance to Staircase 3. This will remain in place until mid-summer.